The definitive history of Britain's busiest rail terminal, written by a long term commuter to the station and bulging with illustrations. Waterloo Station has a massive 91 million passenger movement every year. It has more platforms and a greater square footage of floor space than any other station in Britain and is second in terms of train movements. The main facade erected in 1920 is now a listed heritage building. In terms of size, importance and bustle there is quite simply nothing like Waterloo. 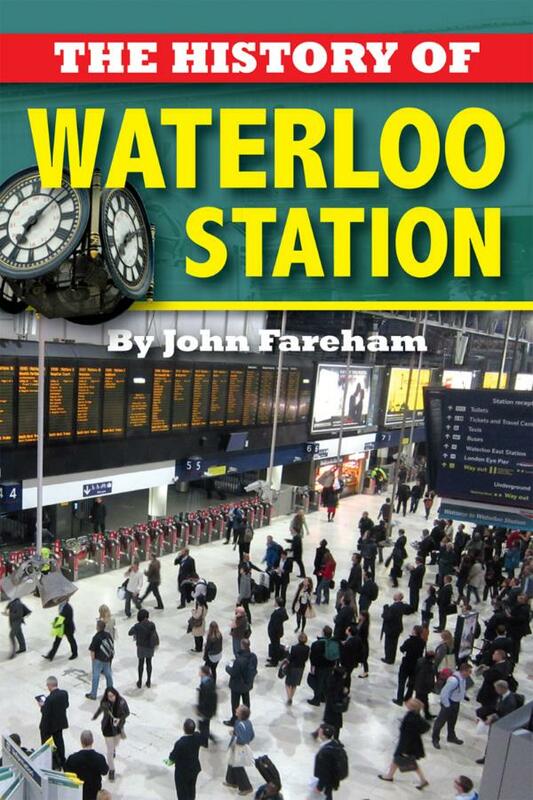 In this book retired commuter John Fareham looks at the history, trains and diverse range of characters that have made Waterloo what it is today. Built in 1848 as a small station for the London Southampton Railway Company, Waterloo grew with that company over the years until by 1913 it had become a vast, sprawling and confusing mass of rails and platforms. A planned rebuilding was delayed the Great War, but began in 1919 and was completed in 1920 creating the core station we see today. More developments in the 1990s and in 2012 saw the station enlarged and renovated. In this amusing, enthralling and engaging book, we meet the characters who have worked at Waterloo or who have used it. We see the key events in the history of the station. We look behind the scenes at the hidden warren of rooms and tunnels never seen by passengers. A fascinating and engaging book guaranteed to be of interest to all users of this mighty station.